Amazon's online store has great prices and service, and is efficient for consumers. But someone has to pick and pack the goods ordered online. Amazon has a number of distribution centres to do this. And according to U.S. newspaper reports, Amazon is running these distribution centres as sweatshops. This is the downside of cheap prices and Internet stores. 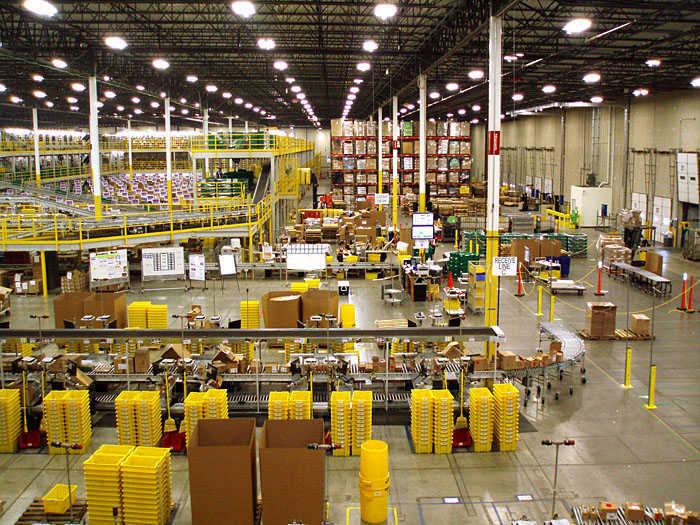 See for example: Inside Amazon's Warehouse. Just Google "Amazon Sweatshop Pennsylvania" and you will find numerous articles about this situation.